← The first day of school. 1. 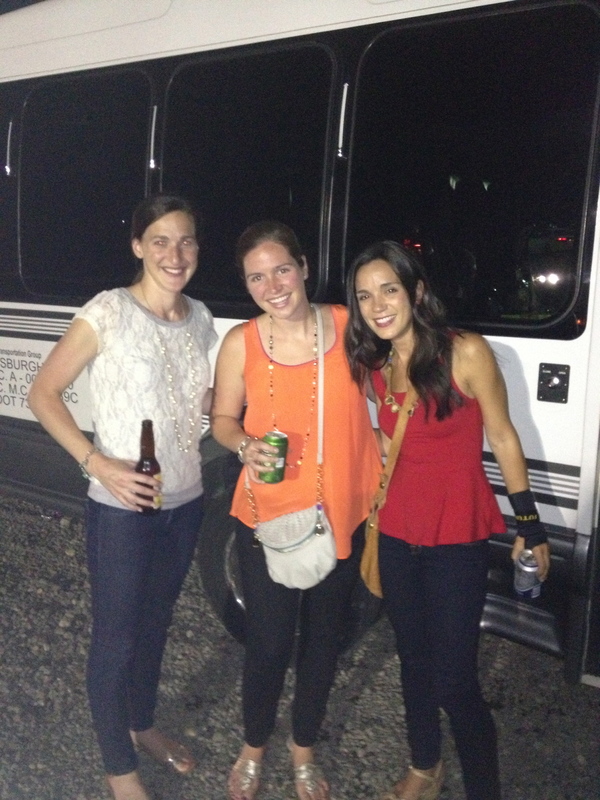 I brought baby wipes to Mumford and Sons. Its just that sometimes I can’t escape my essence as a mother for even a moment, and when I saw the pack of baby wipes on my car floor, I put them in my purse out of habit. But, since they are the greatest invention of all time, they very much came to the rescue on several occasions none of which had to do with wiping an infant. Spilled beer? I’ve got it. Portapottys been used too many times? Allow me. French fry grease making you slimy? Here you go. Every time I pulled out a wipe, I reminded my husband of their use and my genius. If only baby wipes could help with “post- best- concert- of- my- adult- life- accidental- kids- don’t- know- what- a hangover- is- and- are- so- unsympathetic- about- it…. 2. I went to Mumford and Sons!!!!!! Only once was my pearl wearing group called “White Trailer Trash,” by a stranger who, apparently, likes quiet concerts. 3. We put a birthday hat on Mary, again. It’s a Mary’s birthday tradition. My sister and I head to our church playground, stuff our faces with pizza and carrot cake, and watch as the nine children wreak havoc well, as they generally do. 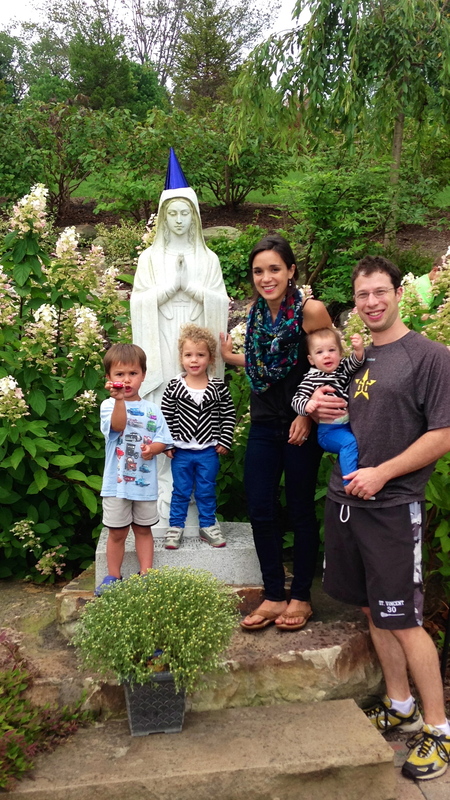 We sing happy birthday as the little ones attempt to catch the fish in the pond next to her statue. We swing at a Mexican piñata, in honor of Our lady of Guadalupe, as the crawling kids experience candy raining, making all future thunderstorms disappointing. I’m pretty much positive that the Mom of all Moms finds it both entertaining and endearing. 4. 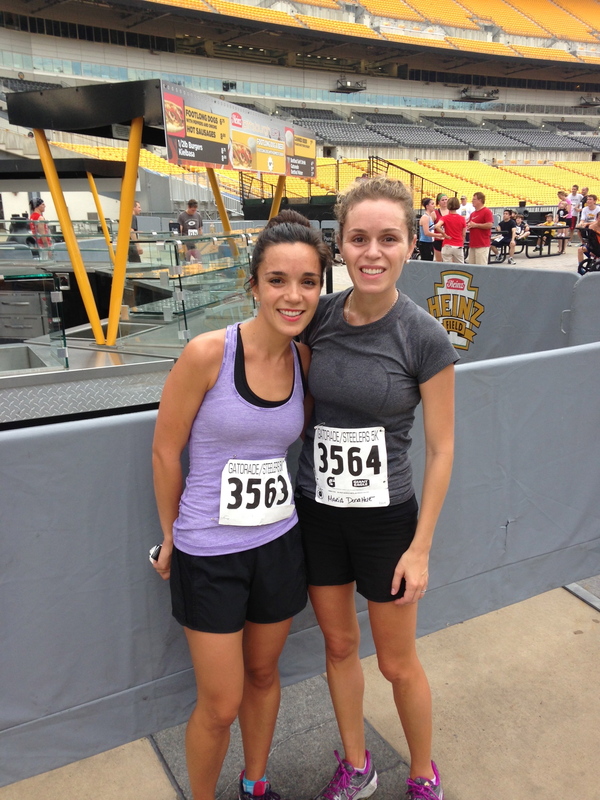 Maria and I ran a 5k together, and once again, she proved faster and more determined. Before I go all “Ashley Simpson living in Jessica’s shadow” on you, she only beat me by 15 seconds, which I choose to blame entirely on the two more inches her legs have on mine. I came up with a formula. Two inches = 5 seconds per mile. 5 seconds per mile X 3.1 miles = we finished at the exact same time. The feelings of inadequacy began as I crossed the finish in the fastest recorded three point one miles of my life, feeling good and proud and sweating and hyperventilating. She, however, was already there, not panting or sweating, and saying things like, “I wanted to finish faster. I’m so disappointed I never reached ‘throw up’ speed.” I consider “throw up speed” to mean “slow down!!! !” Running in the shadow. 5. On one particular 5:45 am wake up call, I calmly explained “it’s too early for a Saturday, please go back to bed.” He did! And then he began calmly playing with toys as Jim and I slept. Is it beginning to sound too perfect yet? Because he changed his sister’s #2 diaper all by himself, too. 6. I learned that riding carousal at a place called Rib Fest brings about similar symptoms to those of “throw up speed.” Rib Fest is one of my favorite weekends of the whole year. 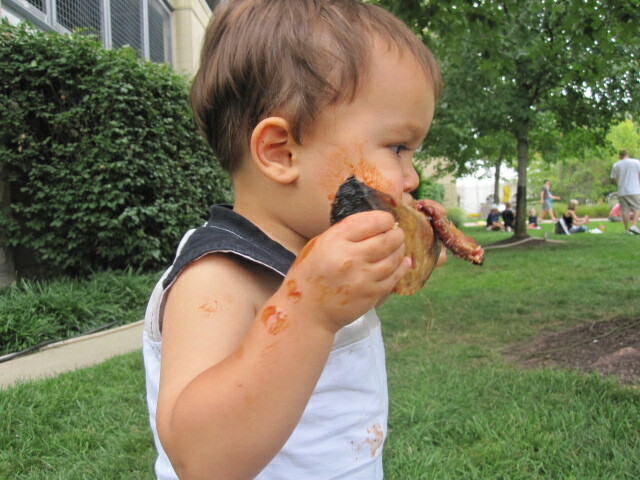 But, I do not recommend trying every rib in the fest times 2 or maybe 3, and then spinning repeatedly while staring at weird looking circus animals moving up and down while also trying to balance two dizzy children sliding off of said animals because they ate too many ribs, too. 8. We went to Mass on a Wednesday night. Jim forgot to mention that Josie was wearing underpants, and Josie, seemingly, forgot as well. The font wasn’t the only liquid puddle. 9. Fish food is now #2 on my “all time worst mess list.” Poop is holding strong at #1. 10. Saw this Ray Romano quote. “Having children is like living in a frat house – nobody sleeps, everything’s broken, and there’s a lot of throwing up.” May your Pee Sigma Poop chapter be running smoothly. Love your baby wipes + Mumford and Sons story! Baby wipes are simply indispensable and I carry them around in my purse as well. Fish food is THE WORST. I never would have thought. I used to think fish were the cleanest possible pet one could get – and they are – until the two year old wants to take over the feedings. But yes, the stuff stinks and the texture gives me the heeby jeebies. I have a Josie, too!